Processing time: one week . Visas is free of charge for under 16 years of age. Australia, Austria, Belgium, Canada, Croatia, Denmark, Finland, France, Germany, Greece, Hungary, Israel, Italy, Ireland, Iceland, Japan, Jordan, Liechtenstein, Luxemburg, Malaysia, Monaco, Netherlands, New Zealand, Norway, Poland, Portugal, Saudi Arabia, Singapore, Slovakia, South Korea, Spain, Sweden, Switzerland, UK, USA, United Arab Emirates,Czech Republic, Romania, Bulgaria, Republic of Cyprus, Malta, Slovenia, Lithuania, Latvia, Estonia, Sultanate of Oman. 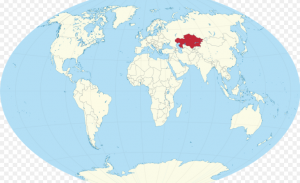 If you would like to make a business in Kazakhstan, we connect you to a lawyer to help you in all cases. Kazakhstan is country with good opportunity and can set up by single partner and any nationality. Kazakhstan has many historical places and different culture that if you travel and see close, it will be memorial and enjoyably trip. You can search famous travel agency in Google or ask your friend that had travel to Kazakhstan.